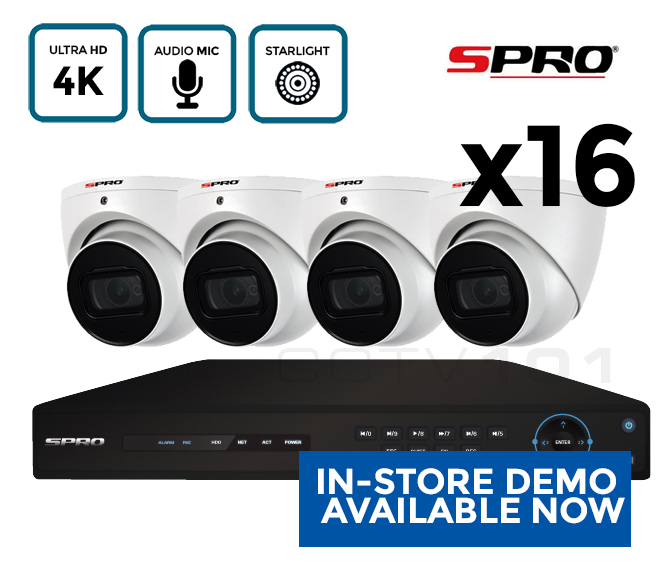 This SPRO CCTV system can be ordered with up to 4 cameras. 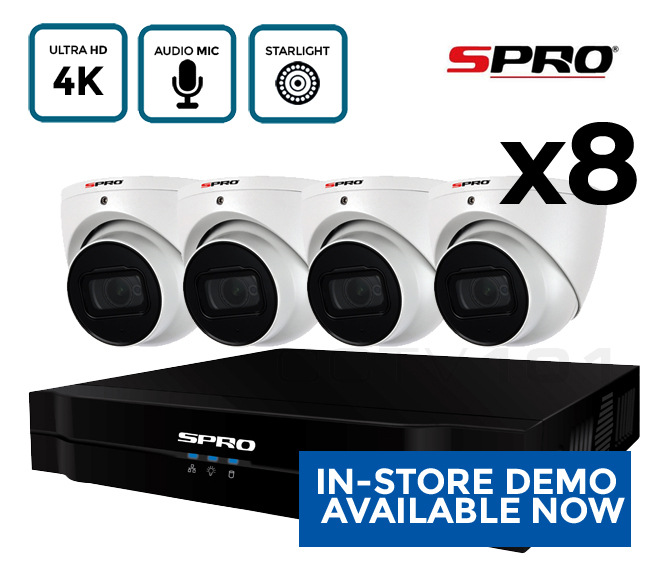 The SPro kit comes with remote viewing apps for viewing your CCTV cameras on your mobile and tablet. 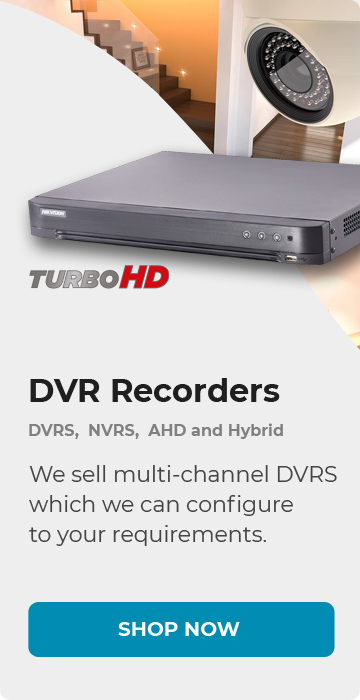 Complete with 2 year warranty. 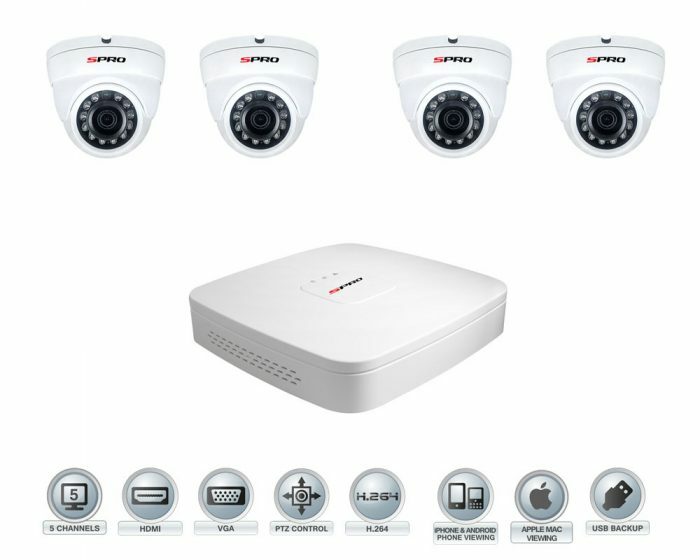 ONVIF 2.4 compatible : Dahua, Hikvision, Arecont Vision, AXIS, Bosch, Brickcom, Canon, Honeywell, Panasonic, Pelco, Samsung, Sony, Vivotek and etc. 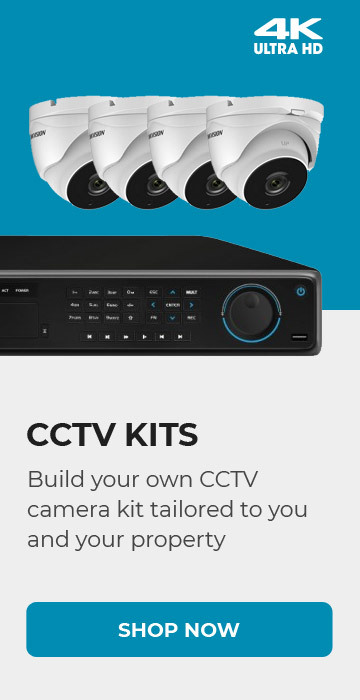 You can choose the type of cameras to combine in this Kit. 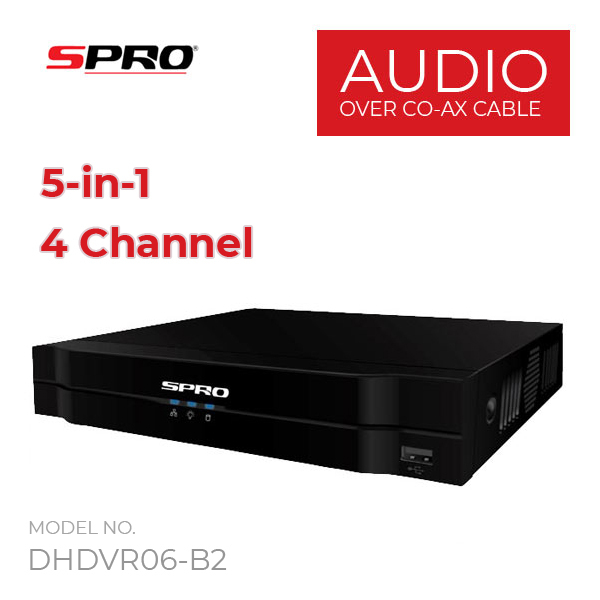 We have put together 3 cameras which are compatible with this DVR. 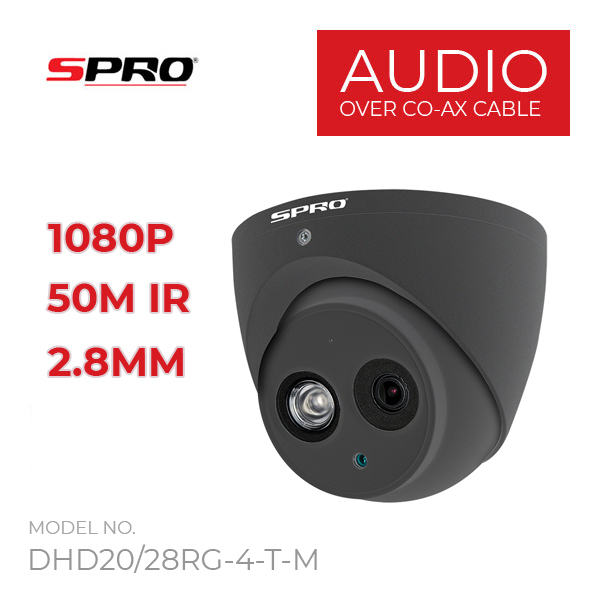 This 2 megapixel SPRO HD CCTV Turret camera not only has a high quality lens and 50m IR but also a built-in microphone for picking up audio. 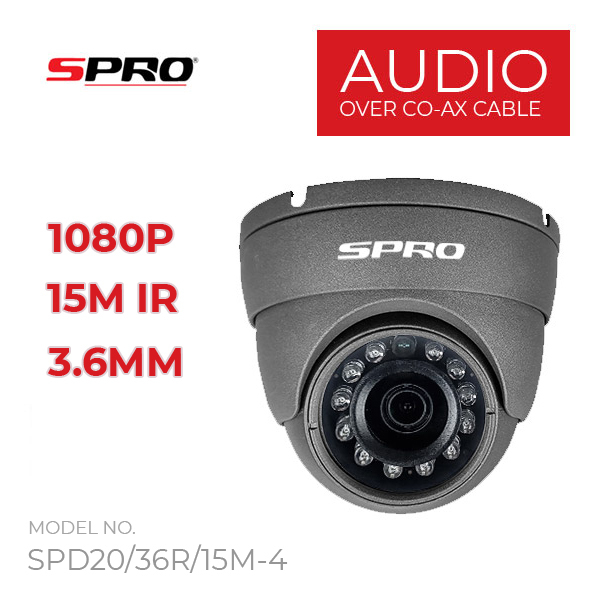 The audio can be recorded and no extra cables or devices will be needed as it is sent over the same cable as the video.The high powered IR on this camera can reach up to 50 meters, giving excellent coverage at night. The night time images themselves are of the highest quality because of this. The lens is fixed at 2.8mm giving a wide angle view so is ideal for viewing close perimeters around buildings and also observing movement from a bit further away. The turret camera is IP67 rated so can be mounted indoors or outdoors and outputs its video transmission in the CVI format. As a bonus this camera also has digital WDR, so it is able to capture clear images when there is a lot of contrasting light levels.